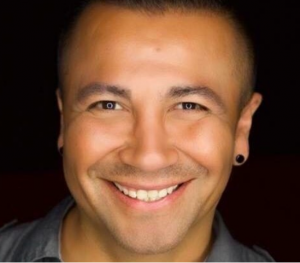 Friends of Caesar Torres, the well-known West Hollywood bar manager who died on Sept. 21, have set up a GoFundMe account to help pay for sending his body back to Mexico for burial. The account, which can be reached here, https://www.gofundme.com/caesar-torres-services, hopes to raise $5,000 to help cover those expenses. Torres was found dead on Sept. 21 at his apartment on San Vicente Boulevard. His death was an apparent suicide by hanging. Torres had worked as general manager of Revolver, the video bar on the northwest corner of Santa Monica Boulevard and Larrabee, and at the former Here Lounge (now The Chapel) on Robertson Boulevard. Revolver is hosting an event called “Hail Caesar” at 6 p.m. tonight. An announcement of the event says that 100% of sales will be donated to the National Suicide Prevention Lifeline. Anyone contemplating suicide or aware of someone contemplating suicide is reminded to call The Trevor Project at 866-488-7386 of the National suicide Prevention Lifeline at 800-273-8255. Live and confidential support is available 24/7. I hope the patrons of Revolver will help pay for his burial instead of drowning themselves in alcohol and drugs. They surpassed their goal. I didn’t know him but it’s sad. Glad you can send him home.